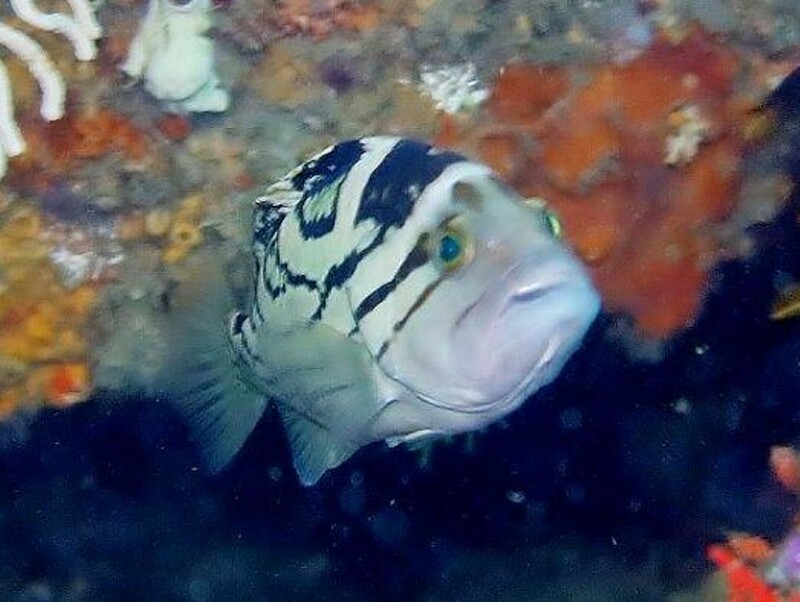 Your friend’s photo is of a juvenile Epinephelus poecilonotus, the dot-dash grouper. You can see the lines at the bottom of the body starting to break up into dots. This is a bigger juvenile than the one photographed in Smiths Sea Fishes [pl. 41]. 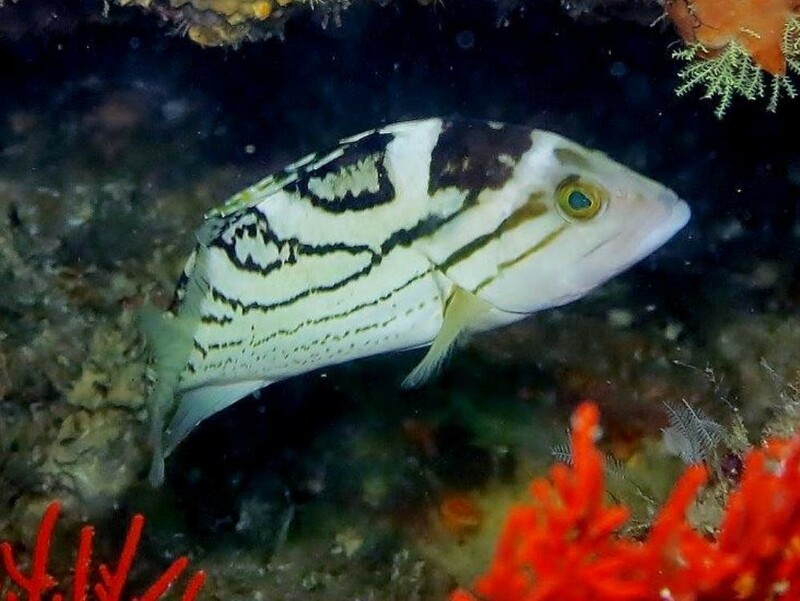 It is a new locality, this grouper was previously known to Port Alfred, and the depth you have given is also new information. 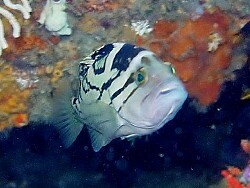 We did not know that juveniles were found in such shallow water, the species is usually deeper than 45m. We will be able to include this in our next book. Thank you for sending in the photos.